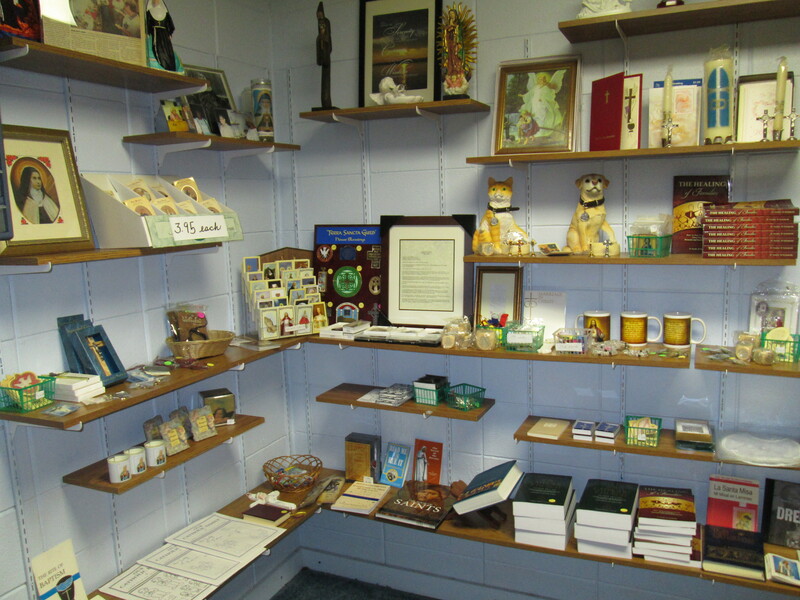 The religious gift shop is open after all weekend Masses and between the Masses on Sunday mornings. 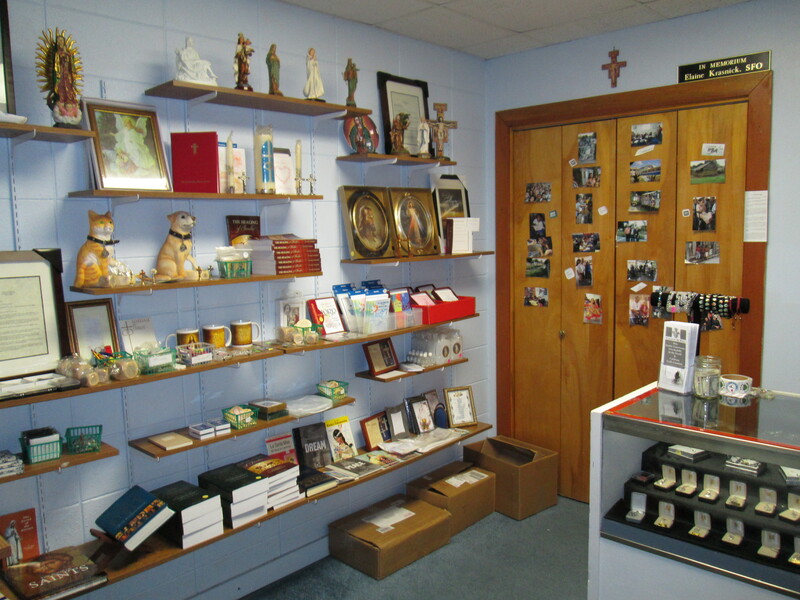 The shop maintains a nice supply of religious items–Bibles, statues, rosaries, First Communion veils, medals, etc. If you do not see the item you are looking for we will be delighted to order it for you. 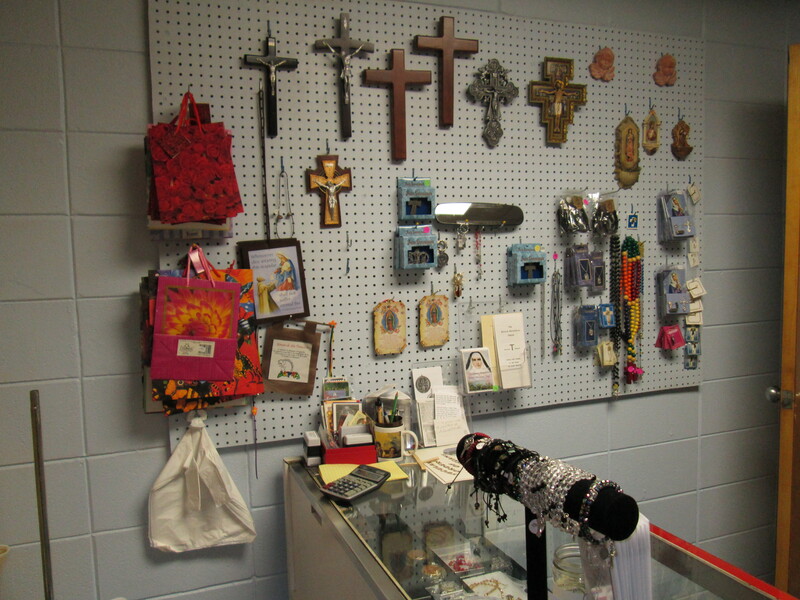 For special orders or for more information, call Patricia Houghton at 497-1813.